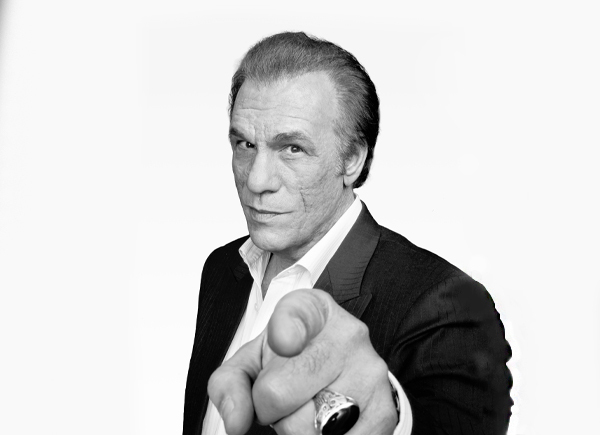 From his portrayal of the opera singing baddie in “Goonies” and one of the most popular James Bond villains Franz Sanchez in “Licence to Kill” to FBI Special Agent Big Johnson in “Die Hard” or Al Torres in “Showgirls” to most recently Leo Marks in “The Iceman” Robert Davi is one of the film industry’s most recognized tough guys. This year you can see him featuring in the popular franchise “Expendables 3″. With over 140 film and TV credits he has frightened us, romanced us, made us cry or split our seams laughing. He is also one of the top vocalists of our day in interpreting the Great American Songbook, thrilling audiences by playing top venues like the Venetian in Las Vegas where he headlines or for 10,000 people at the Harry Chapin Theater in East Meadow, Long Island or the Orleans in Vegas where he gave 3 sellout shows with Don Rickles. His debut album Davi Sings Sinatra- On the Road to Romance produced by Phil Ramone shot to number 6 for more than several weeks on Billboard’s Jazz Charts.